November | 2013 | Lagusta's Luscious! We will be open regular hours* until December 31, PLUS we’ll be open until 9 PM on Thursdays in December, along with many other downtown small businesses (I think there’s no other kind, right? Wow, how nice is that. Well…there’s the Mobil.). We will be closed for our annual sabbatical January 1-January 21. We’ll have some great specials happening the week of December 25-31 in order to use up all our inventory, so keep an eye peeled for that. 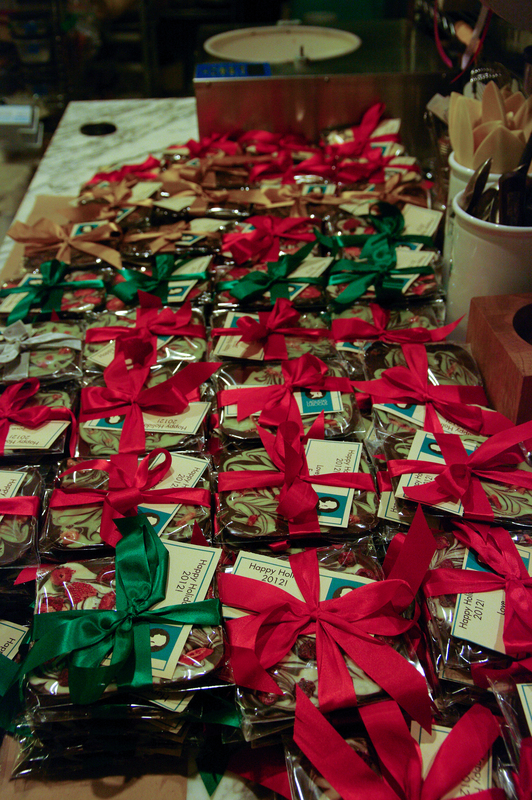 We have plenty of nice treats for the festive season. Our Winter Wonderland Box is specially made for sharing during the holiday season, and our Solid Chocolate Reindeer are hand-painted with eco-friendly white puffy tails and red noses. Peppermint Bark is back for the season, too! THIS WEEKEND!!! Is Crafted, which is pretty much the least-gross holiday craft fair in existence (so many are gross, am I wrong?) and we’re so honored to be a part of it again. We won’t be there ourselves (Which stinks, because it truly is a really nice time) but our chocolates will be enjoying the beautiful atmosphere. Then it’s onward (December 7 & 8 and 14 & 15) to a brand new fair which looks also not-gross (OK I’m going to stop rating events by their non-grossness now): The Hudson River Exchange Market, where we’ll have a full table packed with holiday treats. It’s in beautiful arty Hudson (home to all the midcentury modern furniture I so lustily covet), so if you live across the river from us it’s a good chance to say hello and stock up. 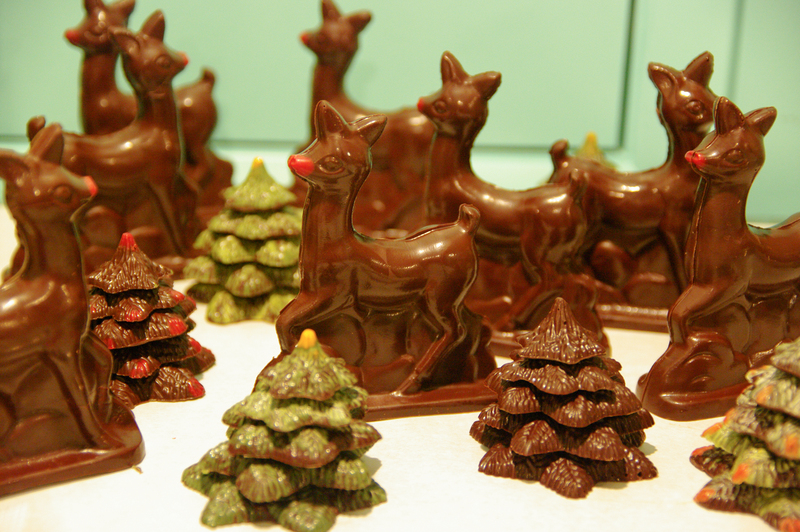 We’ll also have chocolates at a brand new Vegan Pop-Up Shop-Up in San Francisco on December 7th and 8th which looks really lovely. I wish I could go, sigh. Looks like some amazing stuff! 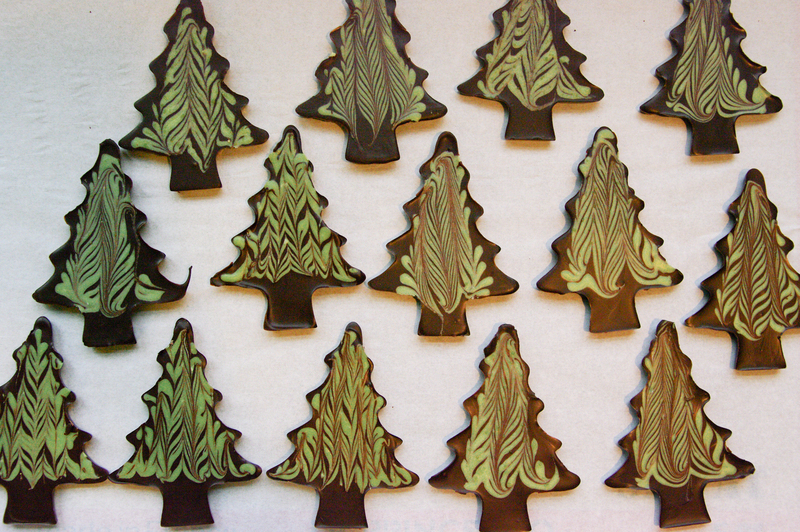 We’ll also have chocolates at the Indie Narrowsburg Holiday Mart December 7 and 8 in Narrowsburg, NY. 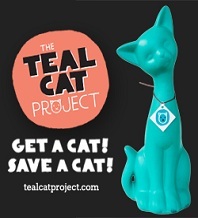 And finally, we’ll be at TWO Vegan Shop-Ups in December in good old Brooklyn, on December 14 and 21st. 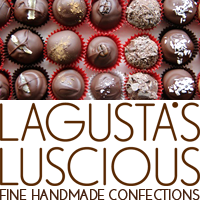 If you want to order chocolates over our website to pick up at any of these events, you totally can, and you’ll save yourself the cost of shipping. Except that we ourselves will only be there to bring you your order at the Hudson Market and the Brooklyn Shop-Up. If you want to meet us at either of those, just order on the website, select “shop pickup” and let us know which day and which market to bring your order to in the “special instructions” box. As always and ever, Facebook remains the best way to keep in touch with all these happenings, as we are chained to that beast like you would not believe. Instagram remains the prettiest way to keep in touch if you don’t mind a lot of photos of my cats and useless ranting thrown in. Twitter is a rather sporadic place for us, but we’ve got one of those, too. PHEW THAT WAS A LOT OF WORDS.